Stackable stands in a variety of heights to accommodate any size plant or collectable. 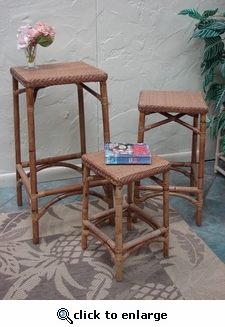 Made of natural handwoven wicker and rattan. Pecan finish.